The United Arab Emirates (39th) has witnessed the fastest rise in standard of living in the world in the last ten years. 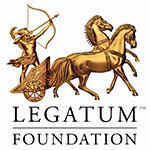 The Legatum Institute would like to thank all of its sponsors and in particular its lead sponsor, the Legatum Foundation. Please use the form below to contact a member of the Prosperity Index team or to send us feedback.